Work on your backstroke or play Sharks 'n Minnows with the kids. A whirlpool and sauna are added bonuses. Whether you've been skiing, biking, or just hanging out - head to the outdoor hot tub to recoup. The creekside fire pit is the perfect spot to hang with your crew or chat with fellow travelers. No more coming up with responses to "I'm bored." The onsite playground will keep kiddos happy all afternoon. Show off your billiards skills, play some Wii or borrow a board game. Winner picks dessert. Get ready to hit the slopes! Lift 20 at Cascade Village is just a 3 minute drive away by car (or shuttle). A swim in the heated outdoor/indoor pool is a great way to unwind aprés-ski. A relaxing soak in the outdoor hot tub is a perfect pre-dinner activity. Lace up your hiking boots, it’s just a 10 minute drive to Booth Falls Trailhead. Perfect your swing at the Vail Golf Club Driving Range or the EagleVail Golf Club - both less than a 10 minute drive away. Located just down the road from the world-famous Vail Ski Resort, Streamside Evergreen provides the comforts of home with the fun and amenities of a ski lodge. At check-in a friendly staffer will give you a schedule of events to peruse – the lodge offers a variety of on-site activities ranging from family-friendly snowman building contests to après wine and cheese socials. In the morning carbo load with the crew on a hearty homemade breakfast (yay in-suite kitchens!) to fuel for the ski day ahead. Once everyone is well-fed and raring to hit the slopes hop on the complimentary shuttle; it stops by every 15 minutes, ready to whisk you away to the ski base. Once at Lionshead Village – one of Vail’s two quaint Swiss-style ski villages – head to a rental shop, or if you brought your own gear get right on a lift! Head to the Born Free Express Lift to meander your way back down some greens and blues, or hop the Eagle Bahn Gondola to the top of the mountain and explore other runs. With 30 lifts and gondolas, almost 200 trails, and more than 5,000 acres of skiable terrain it’s no wonder riders from around the world have been flocking to Vail since it opened in 1962. As the sun begins to set on the Colorado Rockies coast up to Garfinkel’s Pub (or Garfs, as it’s locally known) for some après brews and a bite. They dish up an enticing variety of classic pub fare – plus a solid kids’ menu – but you can’t go wrong with the Powder Day Special: a grilled cheese sandwich and tomato soup. Hop the shuttle back to Streamside Evergreen and discuss with your crew whether to spend the evening at the hot tubs or the communal fire pit (pro tip: the front desk sells s’mores kits). Spacious two-bedroom villas at Streamside Evergreen feel like home instead of a hotel. Suites are individually decorated with a bit of personal style but are always clean and tasteful with a dash of alpine charm. Master bedrooms come with luxe king beds, a pair of full-sized beds in the second bedroom and a queen sleeper sofa in the living room – making these villas perfect for larger families and friend groups. Well appointed kitchens let you cook up your favorite dish, while the in-unit washer/dryer makes sure everyone’s got fresh base layers to ski in. 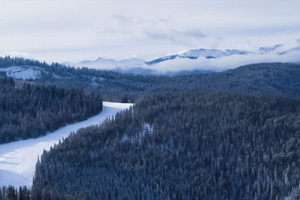 There’s more to Vail than awesome powder - have fun off the slopes with ice skating, tubing, snowshoeing or ski-biking (part ski, part bike, all fun). When you feel like staying close to home base, the on-site Clubhouse at Streamside Evergreen houses a range of rad facilities like the heated indoor/outdoor pool, steam room and sauna, racquetball court, plus a game room with billiards, board games and Wii! During renovations, all efforts will be made to minimize disturbance.